Professional R&D team dedicates to cutting-edge cold chain technologies. ◆ Solee Group owns an independent R&D and design team, tracking and studying the developing trend of international cold chain technology, so as to consolidate our leading position in professional cold chain technology. ◆ Solee possesses an international leading cold chain Science and Technology Industrial Center, which consists of Technology innovation and Development Center, Technology Application Validation Center, Freezing Devices Experimental Optimization Base, Cold Chain Optimization and Innovative Technology Assessment Center jointly set up with international renown cold chain logistics companies. ◆ Solee Group has built a close cooperation relationship with domestic industrial associations and scientific research institutions, such as Cold Chain Standards Committee, Qinghua University, Peking University and Peking University of Technology, forming a unique cooperation chain in combination of production, universities and scientific research, which serves as a sustained theoretical and technological support for cold chain technology research and innovation. Besides, Solee takes up the main responsibility for drafting up two state standards, including National Pharmaceutical Cold Chain Logistics Operation Standard and Pharmaceutical Cold-chain Insulated container General Standard. ◆ Solee originally developed international leading cold storage technology, owning 6 national patents of cold storage technology and 3 proprietary intellectual property rights. ◆ Overall splicing installation without opening mold: simplifies traditional way of processing; enhances productivity, controls production cost; improves products cost performance and market competitiveness. ◆ Adopting imported new technologies and materials, which has irreplaceable advantages by technology and performance, our products is characterized in its excellent insulation, high compression resistance, outstanding hydrophobic and moisture resistance, etc. ◆ Cold chain logistics operation center is operated by industry management elites with rich hands-on experience. Based on operation platforms and modern information management system of subsidiaries, we provide customized rational transport route, as well as integrated and systematic solutions to ensure safe, accurate and due arrival of goods. ◆ Solee has subsidiaries serving as regional logistics operation platforms in Shenyang, Peking, Shanghai, Wuhan, Guangzhou, Chengdu and Xinjiang. It not only has established a forward and reverse cold chain logistics network covering over 1300 cities in China, but also conducting cold chain express business in more than 30 major international cities, committed in providing customers with “Safe, Efficient, Qualified, Flexible” cold chain logistics services. ◆ According to regional specialties, we set up a complete set of regional operation system. Taking advantage of multimedia transportation with strong operational capacity of road, railway and air transport. ◆ We share open, efficient and transparent information of logistics process with customers, including historical information of transport vehicles, order information query and transportation timely tracking information, etc., so as to maximize resource utilization and reduce logistics cost. ◆ During the warranty period, customers are provided with free maintenance service based on the warranty terms at any locations designated by Solee. ◆To ensure that every customer can finish the products packaging procedure correctly, Solee provides customers with standard operation training service by having Solee’s technicians, sellers or staff of subsidiaries do live demo of the operation procedure for every sold product. 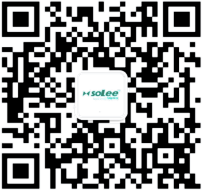 ◆ For regular customers who make subsequent orders or new customers who make substantial first order, Solee will return them with a series of reward policies such as presenting customers with vehicle-mounted insulated container; Customers who join our Wechat platform will get credit after forming recommendation, which can be exchanged for gifts offered by our company. Solee (Wuhan) Science & Technology Co., Ltd is a comprehensive cold-chain logistics company engaged in cold chain R&D, equipment manufacture and logistics services. Since its establishment in September. 2004, Solee has been dedicating in improving cold chain logsitics services quality and developing new cold-chain technologies.